Out With New in With the Old? A colonial home renovation is hot. Reality real estate, home improvement, and house flipping reality shows have been instrumental in piquing interest in colonial home renovation. Architects, interior designers, and contractors agree that some colonial aspects — such as structural architectural elements — should left be in order to maintain the home’s original character. However, the entire home design and renovation industry are undergoing a makeover as design aesthetics and trends continually incorporate elements from back in the day. 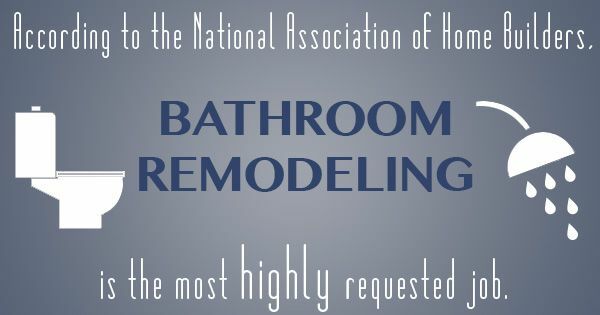 According to the National Association of Home Builders, bathroom remodeling is the most highly requested job, followed by kitchen remodels. It’s no secret that the home remodeling process is instrumental in maintaining and increasing the value of one’s home, which is one of the main reasons why design trends are changing. The Recession taught Americans a lot. Now, nearly six years post-Recession, these lessons are still fresh in the minds of current and new homeowners who are doing everything they can in order to keep their home’s value for selling time. As such, neutral colors, and modest kitchens are making a strong comeback. Custom, chef-inspired and restaurant-quality kitchens boasting massive hooded-range stoves and SubZero refrigerators are no longer in vogue. Excessive luxury and exuberance have given way to modest, functional kitchens that are designed for entertaining. These kitchens still boast high-quality appliances, yet they’re energy efficient and economical in that they’re made for the consumer — not professional — use. Also, neutral colors care back on the scene and is so wallpaper. Neutral colors allow potential homeowners to better envision themselves and their belongings in the space. They provide a blank canvas that is appealing to a wide variety of aesthetics. On the other hand, wallpaper is being used in small quantities in order to add a subtle variety and texture. Incorporating colonial home renovation design into your next project not only increases the value of your home, while making it unique and compelling.